Okay, so Cheri and I have started a sort of Christmas ornament creation countdown. We are each going to post a new ornament every other day for the next 16 days, which will put us at 8 each before Christmas. We both wanted to do something a little extra as our Crafty Challenges are on hold until after the holidays. My first one posted here was actually going to be the last one I posted, but it didn’t take me nearly as long as I had first thought to finish. 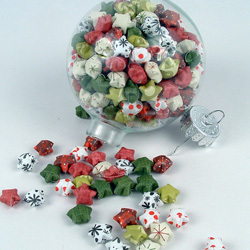 It is based on the paper lucky stars that seem to be everywhere now. 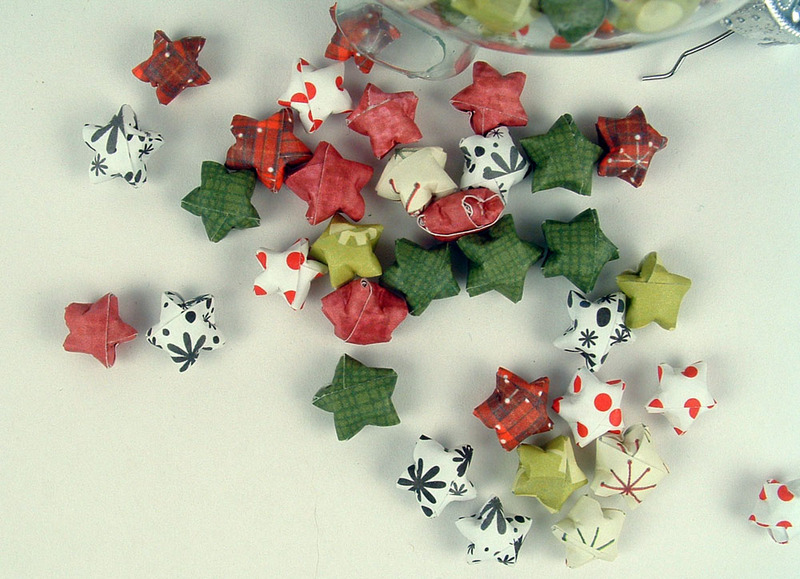 Here is the excellent tutorial on Youtube that taught me how to make the stars if you want to make your own: Paper Lucky Stars. They are really easy to make and I found myself watching TV and folding paper stars and suddenly I was done (okay, two and a half days later I was done). Can you guess how many stars are in the glass bulb? 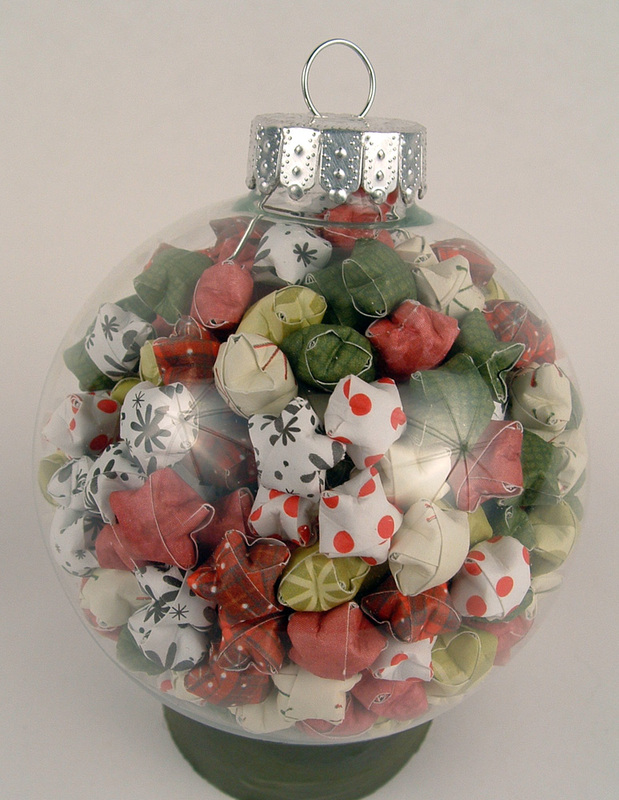 I bought a clear glass ball ornament and six different colors of scrapbook paper. I used my brand new Fiskars paper cutter and cut tons of 1/4″ by 6″ strips and began my journey into stardom and this is the wonderful result! I love the effect and the sound they make when you shake the ball. These are fabulous. I absolutely love them. These are cute! Would it be ok if I included this in a post about different ideas for clear glass ornaments? I am running a 25 Days of Handmade Christmas series on my blog and I think this idea would fit in perfectly! Please feel free to link to any of our posts! I really like your blog site. You have posted some excellent ideas! I LOVE this idea!! 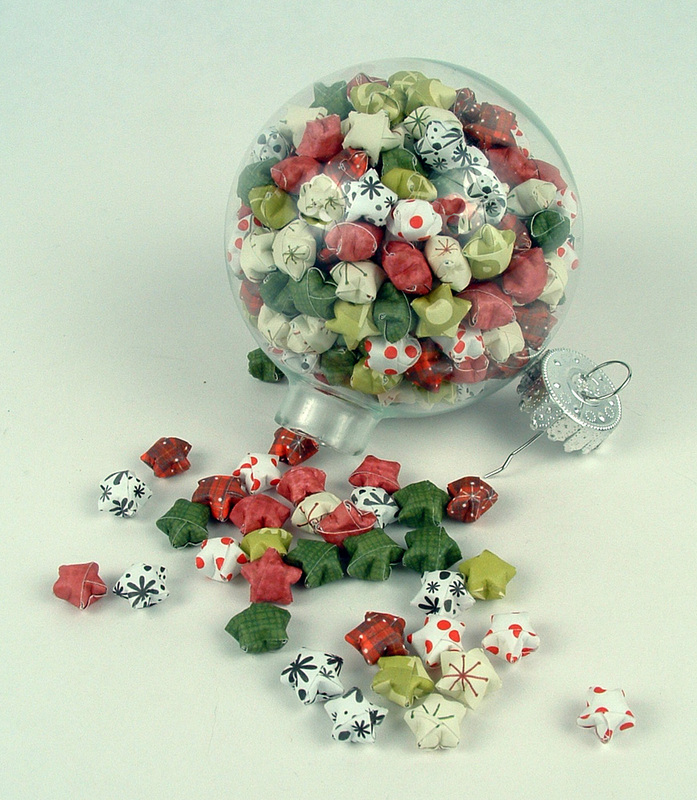 So, how many were you able to fit inside the Christmas ball? There are just over 300 stars in the ball. I couldn’t believe that I could make that many!